The sound is clear and strong. Wireless connectivity allows audio streaming from Bluetooth devices. The glossy black finish is a classy look. Automatic shut-off may occur too quickly to suit some users. 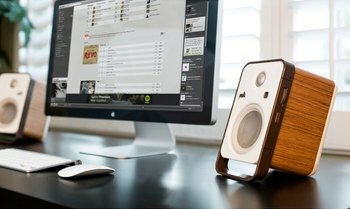 The speakers are fairly large for desktop speakers. While good for personal use, they won't be suitable for large parties. 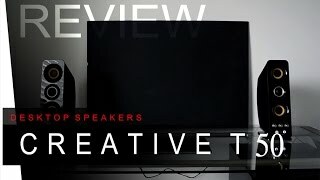 The Creative T50 Wireless speakers build on the success of the T40 series, adding wireless connectivity into the mix and Near Field Communication for quick pairing with wireless devices. 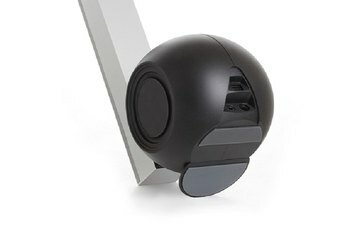 The 2.0 speaker system features Creative Lab’s three-driver MTM (midrange-tweeter-midrange) configuration. For the bass, a tube runs nearly the length of each speaker and exits from the top. 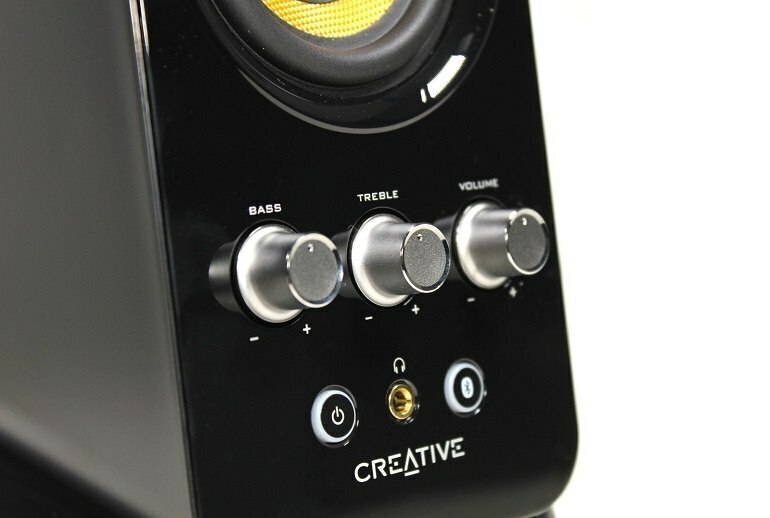 The company calls this its BasXPort technology and says it channels sound waves for high output bass. 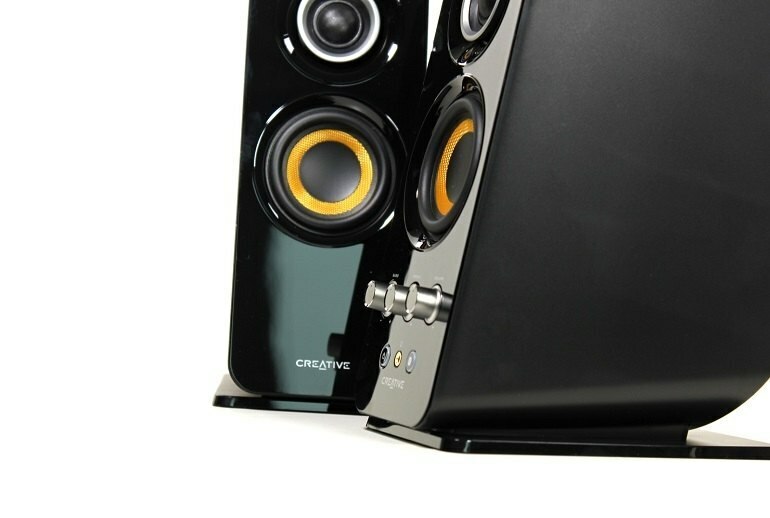 Controls for power, bass and treble are conveniently located on the front of the main speaker. The speakers each measure 12.4 by 3.6 by 7.3 inches. They come with a 3.5 mm audio cable, power cable, satellite connecting cord, and a 3.5 mm-to-RCA adapter. The Creative T50s are thoroughly modern, offering a cool look, easy Bluetooth pairing and a beautiful, balanced sound signature. 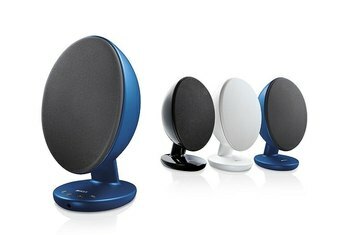 The speakers even have a surprisingly decent low-end sound, even without the benefit of a separate subwoofer. A comprehensive speaker. It is capable of all kinds of music although it's not the best. Just as the speaker cabinets are solidly built, so too are the audio knobs on the front. Each has just the right amount of friction when turning to make fine-tuned adjustments easy, and feel like they’ll stay sturdy after years of use. 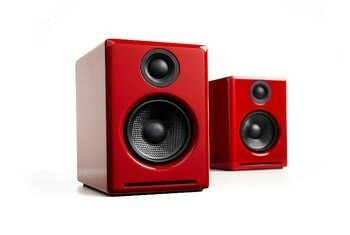 Overall, if you’re looking for a 2.0 system, these will really do justice. 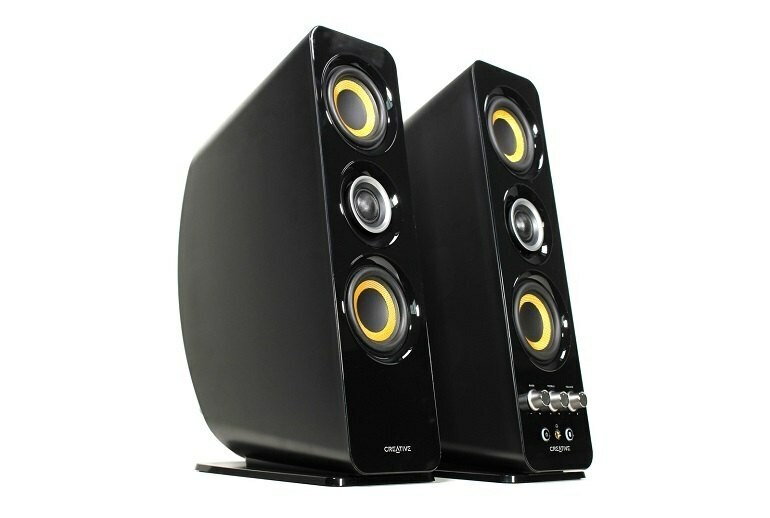 If you don’t need the portability and need better sound in your personal area, office, dorm room, these do work great.